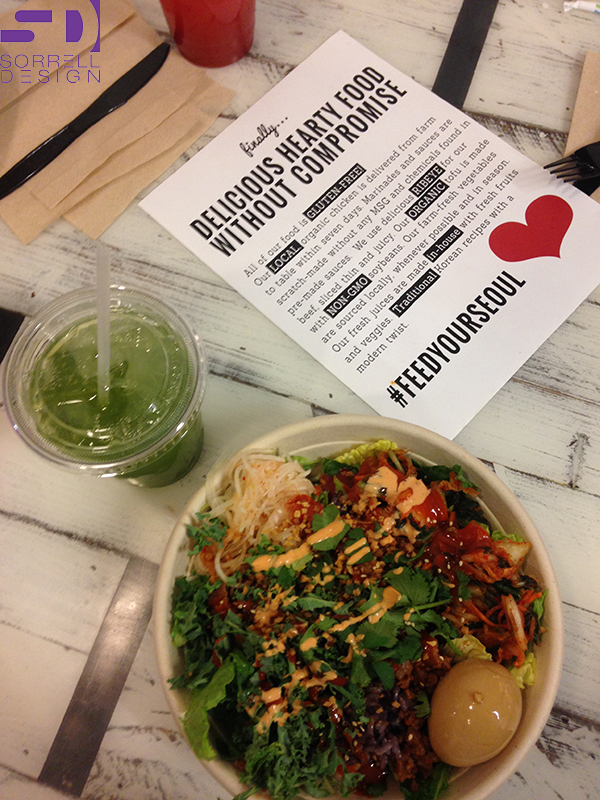 Panoramic of Seoul Spice during soft opening. 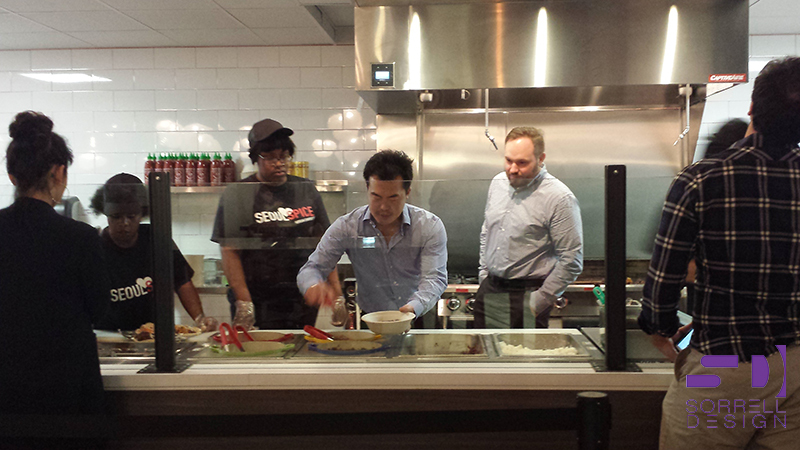 Owner Eric Shin demonstrates behind the line to our Principal Steven Sorrell. 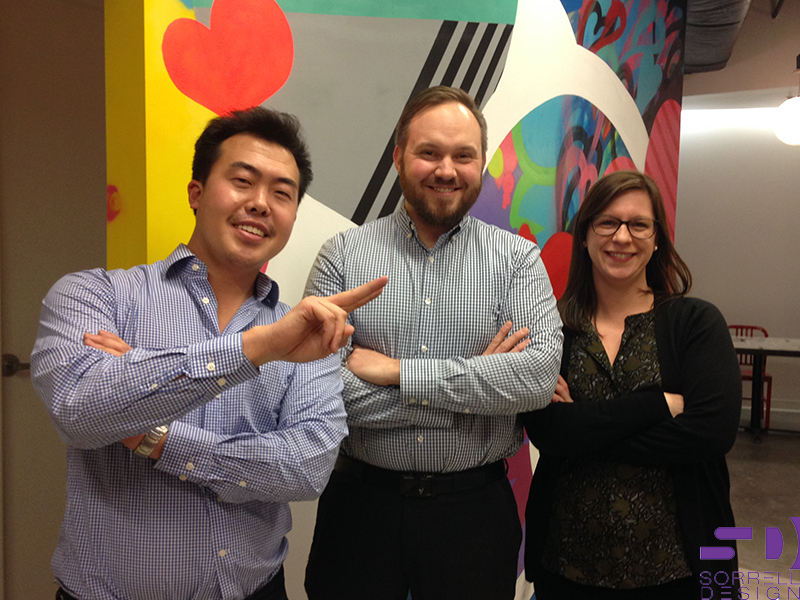 The Seoul Spice design team: Eric Shin – Owner, Steven Sorrell – Sorrell Design, & Robyn Mattingly – Intec Group. (Not pictured, Meredith Goldberg – Intec Group). them the best of luck, and enjoyed being a part of the team!